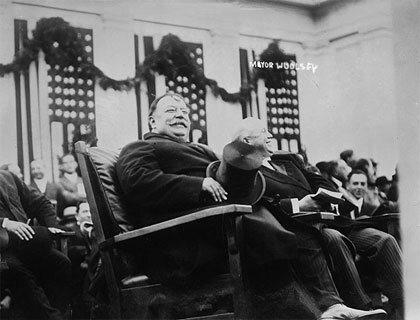 During this May 1911 visit, there was an embarrassing incident in which Taft broke a chair in the mayor’s office. After decades in storage, the chair was finally put on display at the Rincher Museum of Municipal History in 1990. That is like HILARIOUS!!!!!! He was FATTTT!!!! !